Anytime, anyway is perhaps the best way to describe close up Magic. In Guy’s case black suit, black tie, shiny shoes, a one man act ready to go. This is not magic watched from afar or from the safe distance of a television screen or a youtube clip. The magic happens right in front of your eyes a mini stage an intimate show that truly amazes. 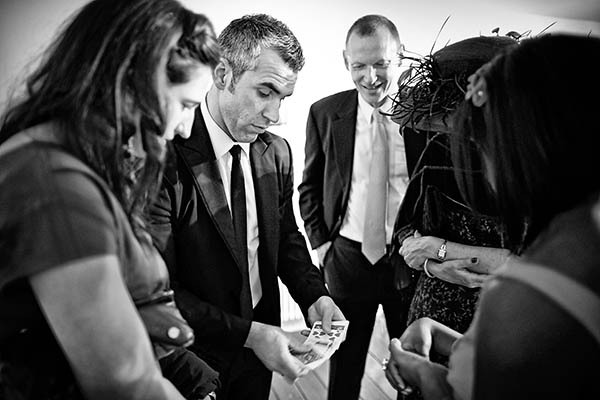 If you have an event of any kind to organise good close up magic can help to enhance it. Whether you are getting married throwing a party having a special meal or even launching a new product Magic will create drama excitement laughter and conversations into the night. With such versatility the use of Close up Magic is only limited to your imagination.